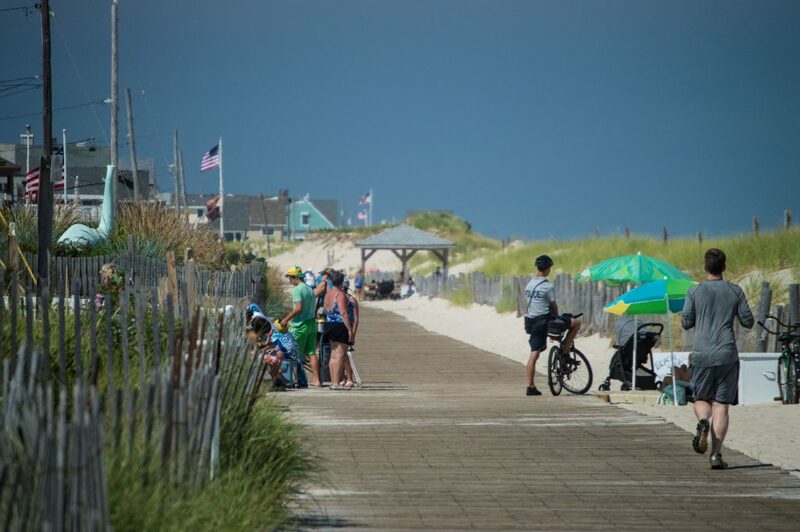 The U.S. Army Corps of Engineers has told Lavallette officials that three beaches will be constructed with handicap-accessible ramps after the upcoming beach replenishment projected is completed, but the borough is hopeful they can fund a ramp on a fourth street. The ramps are going to be built at the widest streets in town – Philadelphia Avenue, President Avenue and New York Avenue – but Council President Anita Zalom said Trenton Avenue, another wide street with ample handicap parking spaces, should have a ramp as well. Zalom, who has been instrumental in obtaining funds to make borough beaches more accessible for disabled visitors, said she will spearhead an effort to obtain federal Community Development Block Grants to fund the project. If installed by the Army Corps contractor while they are completing the replenishment project, the borough would have to pay $58,100, about half the price of building the ramp afterward. Zalom said a meeting with the Ocean County CDBG committee yielded “positive feedback” on the plan, but she wanted to address the issue publicly to make sure residents supported using a potential CDBG grand for the ramp project. Mayor Walter LaCicero said not building the ramp on Trenton, a wide street with plenty of handicap-spaces, would be a missed opportunity. “For us, it wouldn’t make a whole lot of sense,” he said.